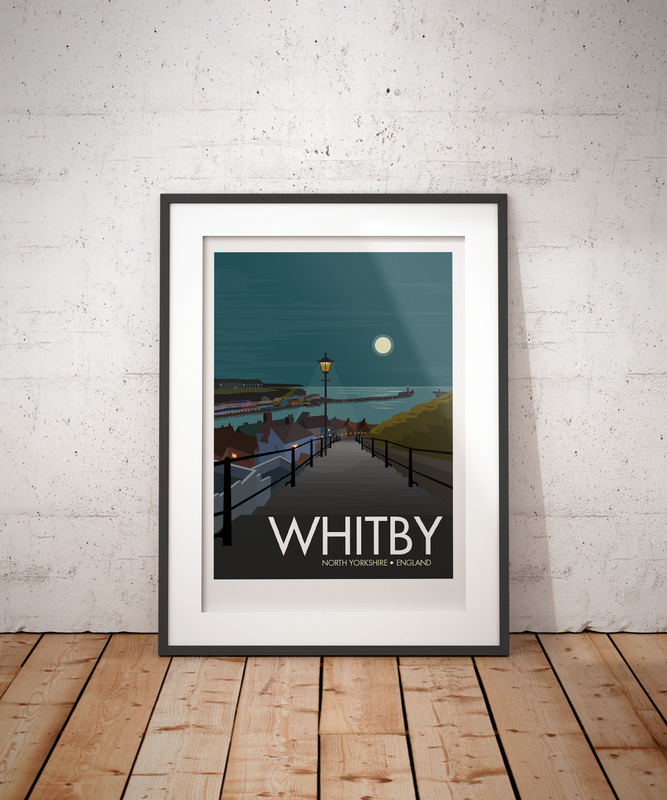 I’ve had several requests for Whitby, many were from the same man (yes you Mr Townend) so here it is. 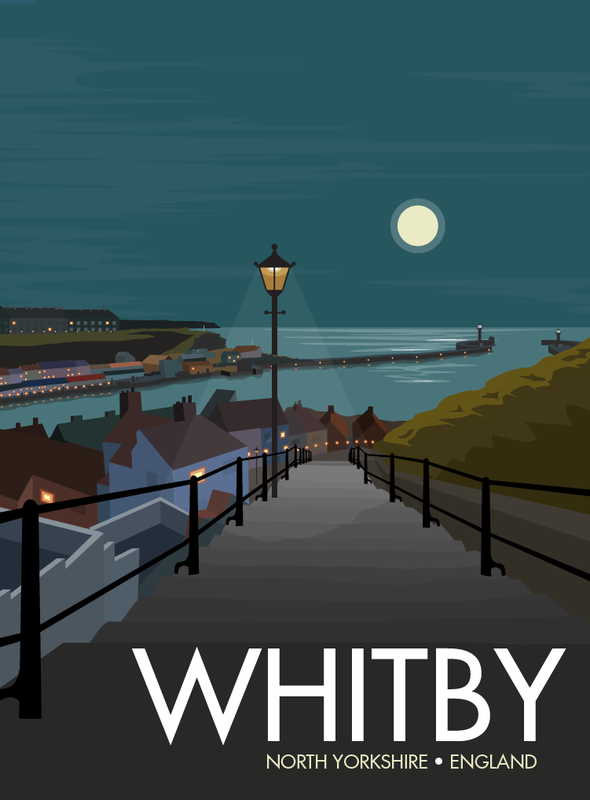 I’ve been to Whitby a few times and it really is a beautiful place. The ruinous abbey standing proud on the hilltop, the winding streets, the galleries full of local artwork and of course the legendary fish and chips. But one of my overriding memories was climbing the 199 steps; and it’s the view from these steps that I have tried to recreate in this print. I hope you enjoy it. As always prints available on Etsy.